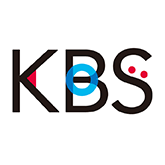 Interpretation / Narration | BUSINESS | KBS CO., LTD.
KBS can arrange for interpreters that deal in various situations who can provide consecutive interpretation for business negotiations and sightseeing, and simultaneous interpretation for international conferences and seminars. English, Chinese, Korean, Thai, Vietnamese, Indonesian, French, German, Spanish, Portuguese, Italian, Russian, Arabic, etc. We can transcribe recordings of conferences and seminars in foreign languages. Please feel free to enquire. We can also provide voice-overs and dubbing in foreign languages. We are equipped with well spoken native speaker staff. Please feel free to enquire.